You know when you have lots of things to do, but suddenly you have an idea and then you forget all the others responsabilities? This happens to me a lot! This time I was planning to make a crochet cake from a free pattern that I found, and when I was almost finishing I took a look and thought: Hey, it kinda looks like a dress! And then, my surprise cake girl happened! What name should I give to her? These two are Nádia and Adrien. She is german and he is brazilian but somehow, through the dreams, they met each other. They are a couple from a book called "Yume", that my friend published last year. The heart is based on Zelda: Skyward Sword. I had fun taking pictures of them together! His overcoat and her crown are removable. Unfortunately, I didn't write a pattern, just some random notes that is too confusing for me now. For this Mother's Day, I was preparing something really different. 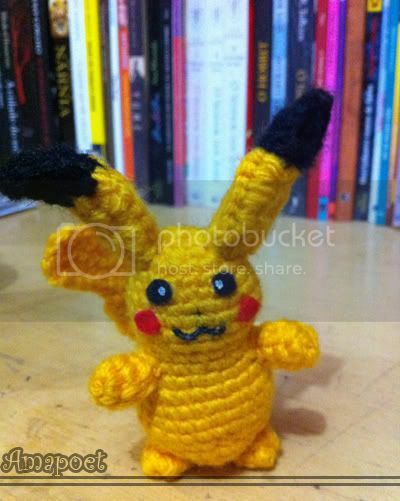 I started to crochet this year, so I accepted the challenge of to make something of crochet. Why not a card? It's kinda simple, but she loved it! I don't know if you can see, but there are four little hearts inside the big one because I have 2 more brothers and 1 sister. The message is "Mother, I love you" in portuguese 'cause I'm from Brazil . I sewed with felt to hide the embroidery on the back part. You can download them at the end of the post. 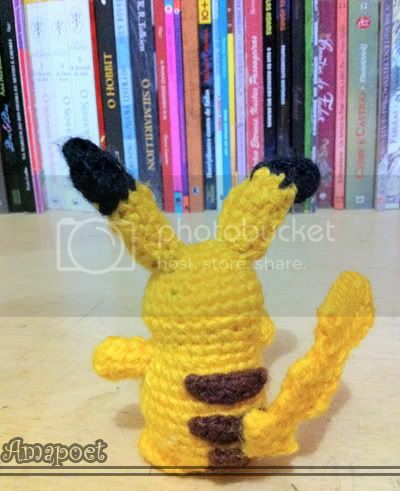 I wasn't sure if I should post here or in "Crochet: Completed Projects" but I saw some puppets posted here before, so, here I am again! From left to right in the first picture: Meowth, clefairy, dratini, chikorita and pikachu. 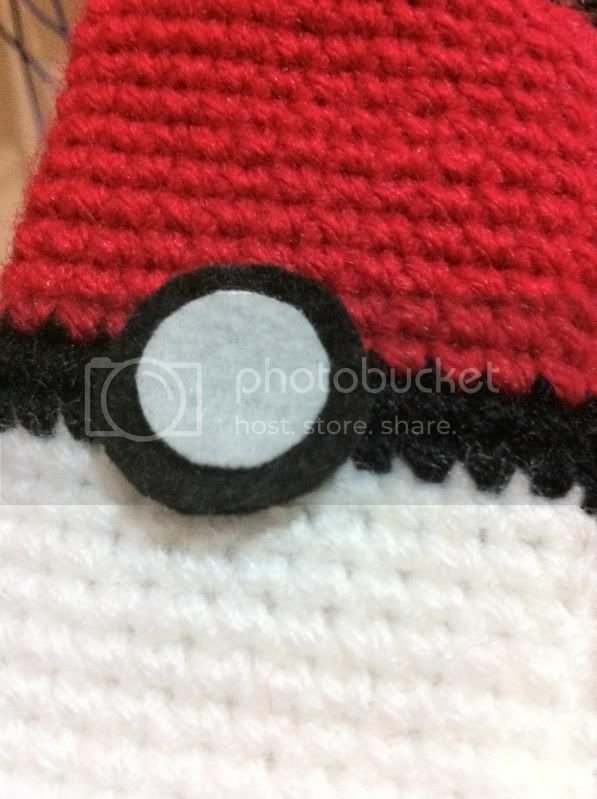 in the second picture: pokeball, charmander, diglett, horsea, oddish. You can add a extra round of sc if you don't be satisfied with their size. For diglett I just add the tiny black plastic eyes(with a small drop of white paint) and the nose is made of felt. For dratini I did the same, but there's more pieces of felt for the details of his head! Hi! I have been working on this tiny ballerina this week, I made her for a friend who is a real ballerina. And my friend called her Sophie! She loved it, I hope you like too. I made her from my own pattern, it is my third pattern, I guess... And I'm planning to put here freely, but first I have to organize my scribbles. 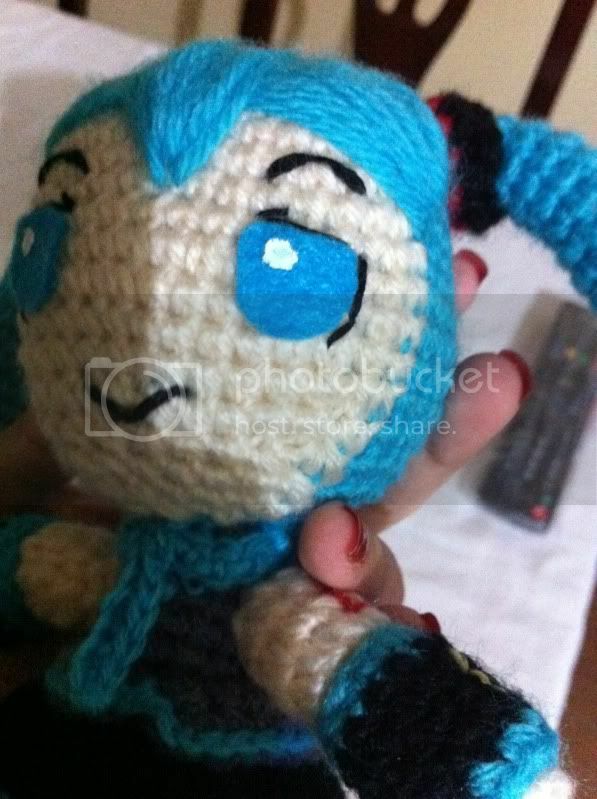 I'm really proud of myself, because I worked hard to create her and more to sew all the small parts. But I found that she is really cute! 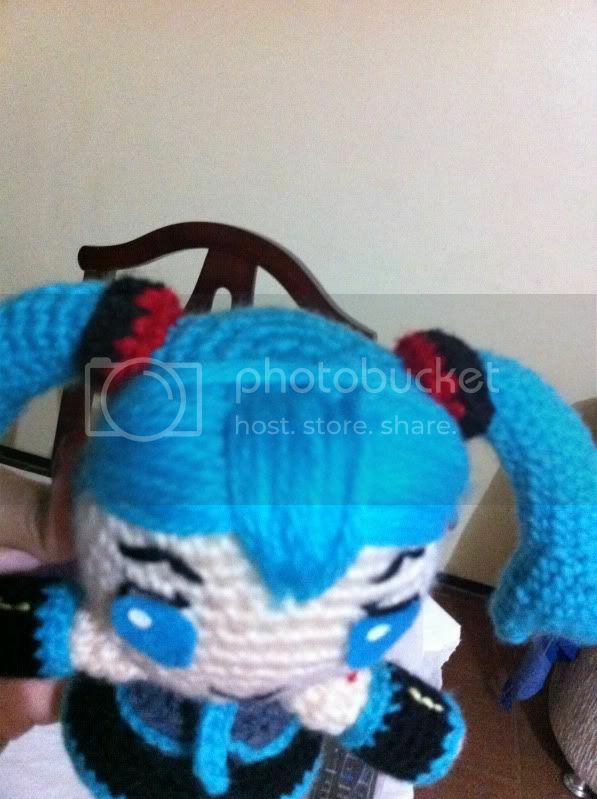 I glued her eyes because they are so tiny and I didn't know how to sew it correctly in her face. You can choose any color for you ballerina, but have at least four: for the skin, hair, tutu and leotard! • A 1.75mm hook, but I guess that a 2mm will work well too. Sew or glue to top of hair. With a piece of yarn of the dress color, I wrap around the bun, so, it looks like it's holding her hair. 1: Ch 10, join to first Ch to make a circle. Join (in the first sc of the first round) the color chosen for the leotard. 3: SC in front loops only (10). Now, stop a minute and join the skin color to the first back loop (after join) of the leotard. For this part, you will need two colors. Carry the yarn that is not being used inside the foot and pick up it when you need to change. I'll change the color of the text when you need to change the yarn. Also, only this part will be all in bold. Now just work with skin color. 7: SC around (5) change to leotard color at the end of round. Now, sew the arms to the body, in a way it stay under the chains that you made in the leotard. Sew head to body and legs to the tutut, but stuff before. I don’t stuff the legs or the arms. And that is it! If you have any problem just say and I’ll try to help. And if you find something wrong, tell me so I can change soon. 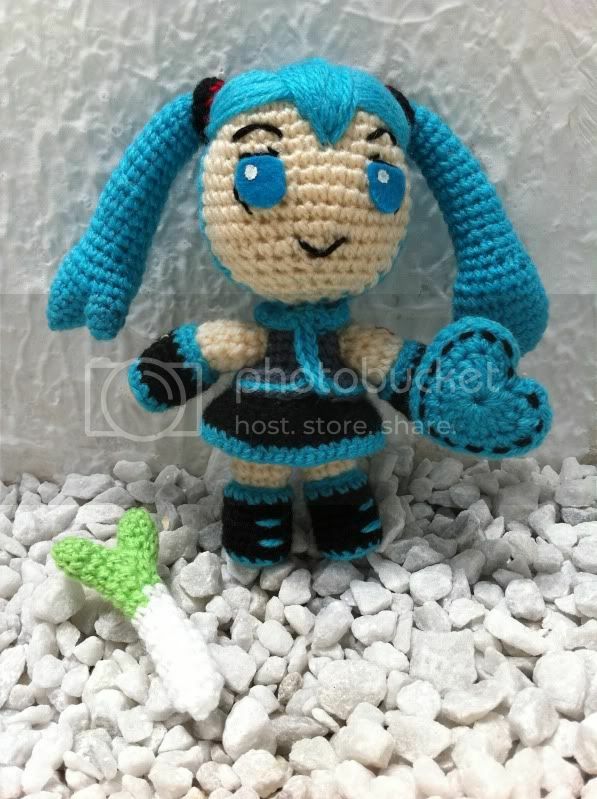 It was my second amigurumi designed by myself. And I made a pattern for him, this is my first "arranged" pattern, so, if you don't understand or find something wrong, let me know. • Small amount of red and white felt and a little more of dark blue felt. Begin stuffing the head. Change the color to soft violet. Finish off, leave long tail for sewing in. 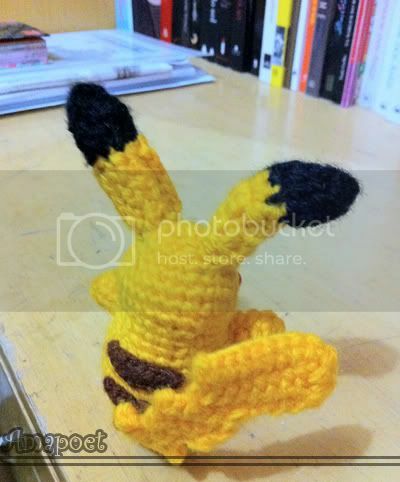 You gonna make 2 legs and then join then to keep doing the bottom of the body like it was one single piece, after finish, sc the bottom of body with the upper body with soft violet yarn. Finish off, now make the other leg. Join the legs and work now as it was one piece. IGNORE the join! Work in spiral now. Finish off. Join the two pieces (Head/upper body and legs/bottom of the body) with sc and soft violet yarn, starting from the center/back of the upper body and bottom of body. As show the picture below. Remember to finish of stuffing before you close. Finish off, leave long tail for sew to the foot. RND 1: 3sc into a magic ring. Arrange in half-circle shape and attach to side of head. After sew the ears and nose to the head, I cut a red felt in glasses shape and two little circles of white felt. I glue the white circles on the red circles and I used fabric paint to do two dots on center of the glasses. For the eyebrowns I cut two rectangular pieces of blue felt and glue above the glasses. 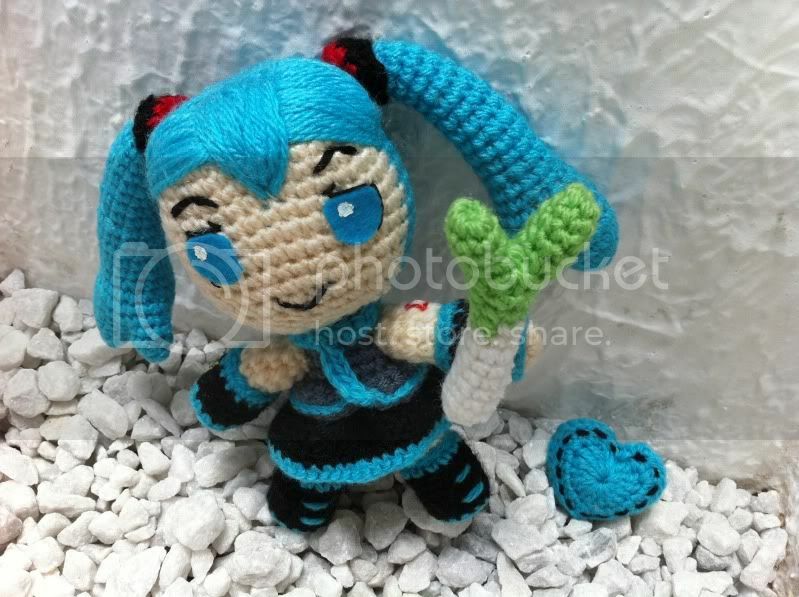 Ok, I had never made amigurumi hair of felt, but I found it would be weird if it was with yarn or something like that. Also I’m not so good of making hairs… So I tried to made Milhouse's hair with felt! I don’t know how to explain, but I took pictures of how I made, maybe it can help. But feel free to make anyway you think better. Ok, I'm a gamer girl and I was wanting to make something like that, so, here I am! 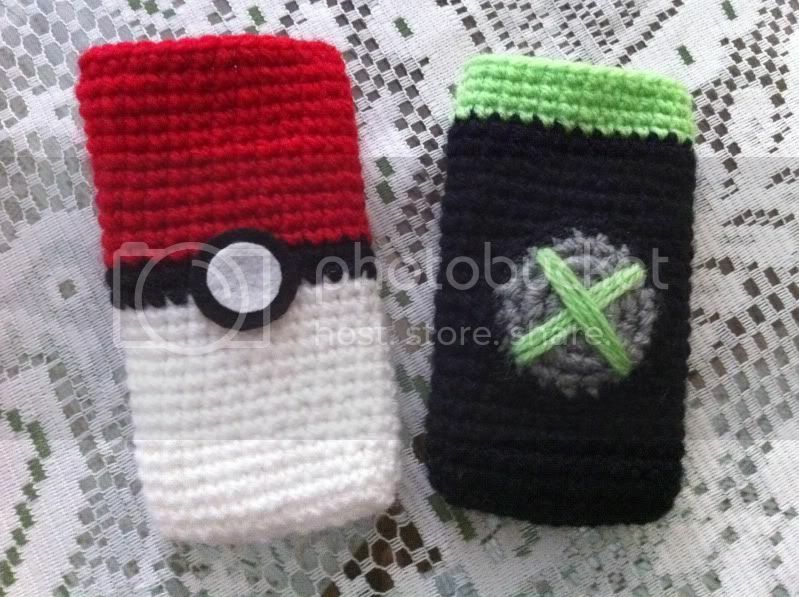 I used a simple pattern for both, you have only to make chains till it reach the width of your cellphone and plus 1 ch. 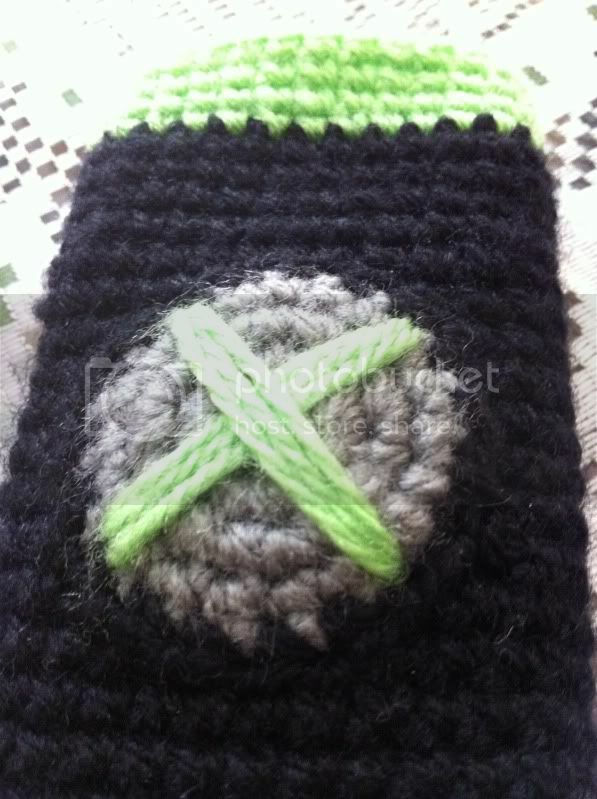 And then make single crochets around it til it cover all your cell phone. This way you can customise your case of anyway you want to. I used a pattern that I bought on etsy, but with a few changes. I loved the pattern because it show so many details of her. 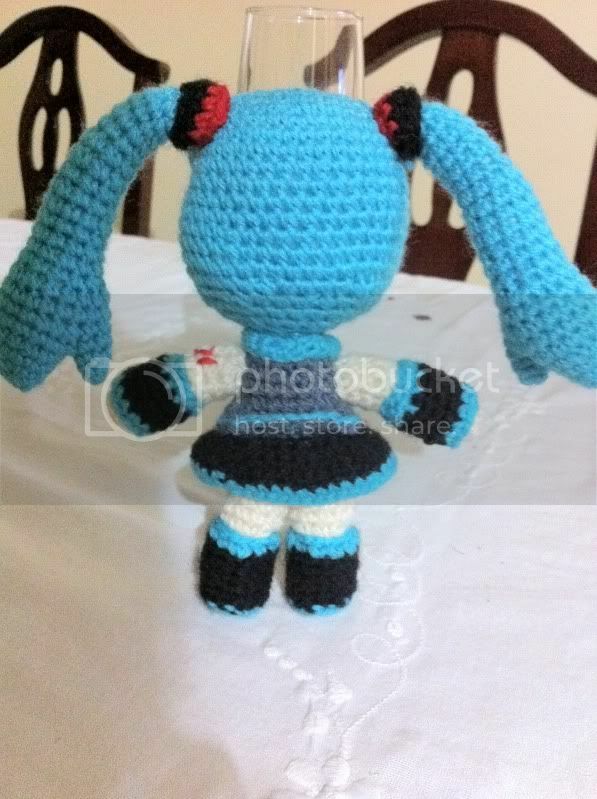 I made her with a 3mm crochet hook. She is about 6 inches tall. I loved her eyes! 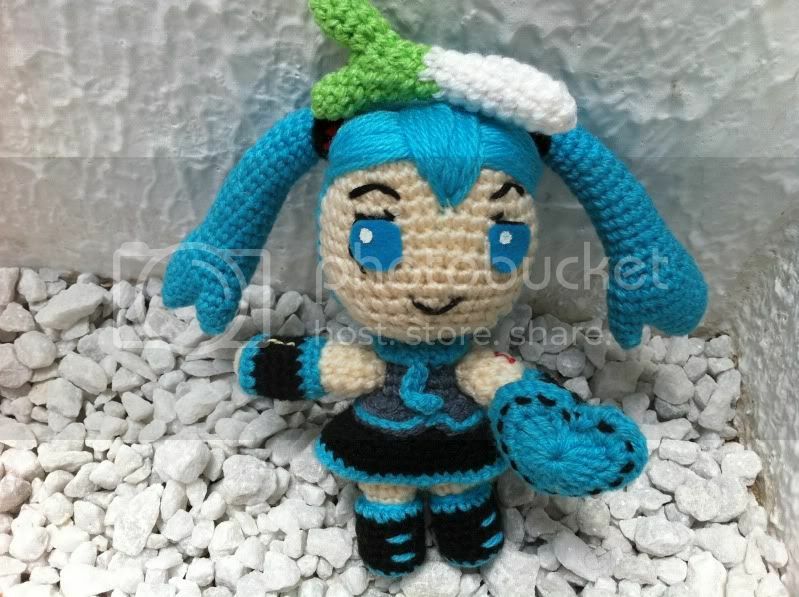 I guess now every new amigurumi that I'll make based on anime figures I'll try to make eyes with felt and details like hers! Yes, I loved to take pictures of her! 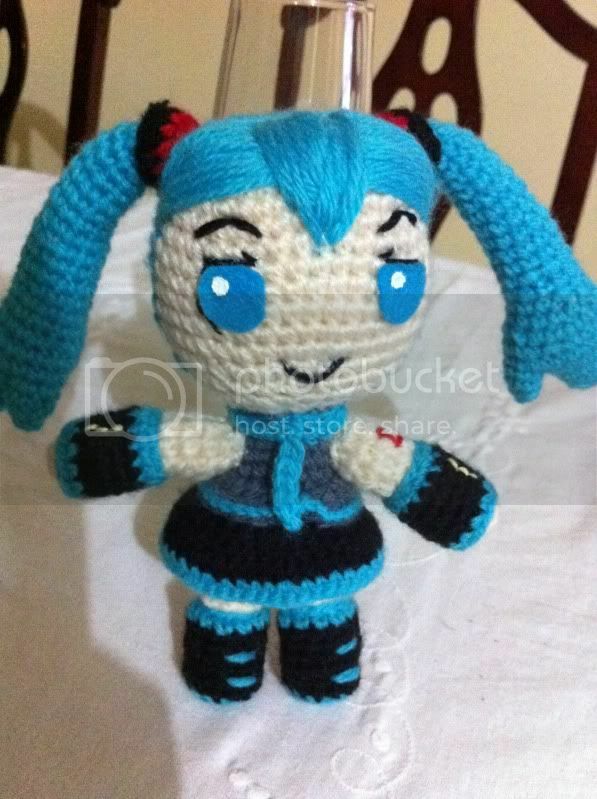 This is not my first amigurumi, but is my first project created by myself. I started to learn how to do amis about a month ago and I decided that it was time to do something by myself! 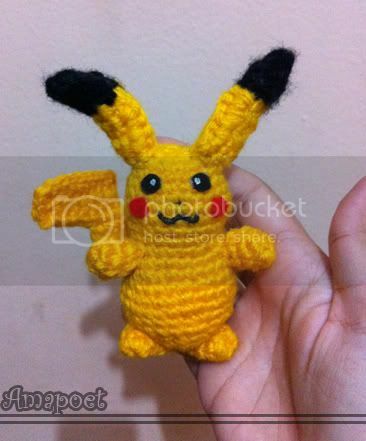 I choosed the pikachu because I wanted one since when I started to do amigurumis, I know there's a pattern for it, but I just wanted one smaller than what I found. It took a lot of time(about 4 days) because I was also trying to make a pattern while doing it.